Visakha Bucha Day is the one of the important days in Buddhism because of 3 important incidents in the life of the Buddha, i.e. the birth, the enlightenment and the passing away, miraculously fall on the same month and date, the Vesak full moon day. 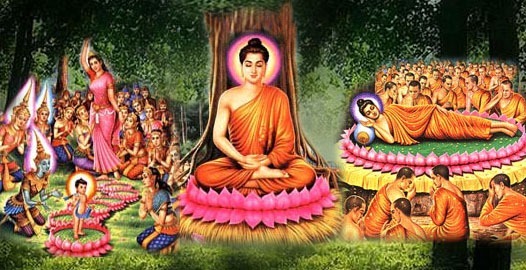 Each year Visakha Bucha Day is celebrate in early May. The day is based on the lunar calendar and hence it does not fall on the same calendar day each year. In Thailand it is a public holiday so government offices, banks and many shops are closed on this day and in respect of the Buddhist day there is no alcohol served on this day. Lets see what Thai people do on Visakha Bucha Day. – Offering foods to the monks and novices. – Observing the Five Precepts or the Eight Precepts (depending on which ones they observe). – Listening to the Dhamma preaching. – Attending the Candle Light Procession around the Buddha’s Shrines. If you want to learn more about Thai Language you are welcome to look at our other blog lessons, learn Thai from our YouTube site or follow us on Twitter. If you are serious about learning Thai then please contact us for a free trial lesson.